Well you certainly can't miss this shirt. I doubt that there are many club football shirts with more vertical stripes on it than this one. Yes you look like a referee. Or a zebra. Or someone who works at Footlocker but that's OK. I think that if the entirety of the shirt was black and white stripes then it would get too ridiculous but because the shoulders are a more solid colour, I feel as if it doesn't look too bad. 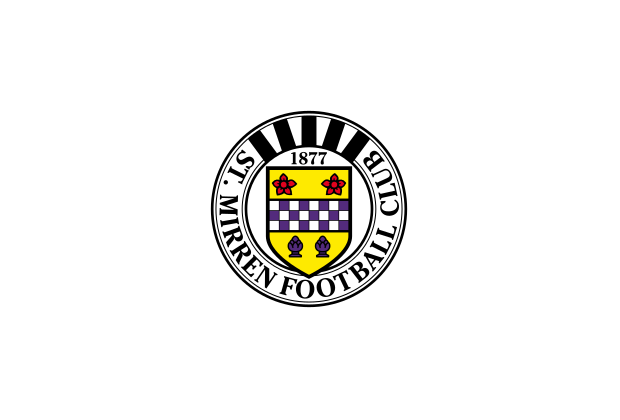 St. Mirren was formed as a gentlemen's club which included, among other sports, cricket and rugby in the second half of the 19th century. The increasing popularity of football ensured that by 1877 the members had decided to play association football and 1877 is the football club's official foundation date. They are named after Saint Mirin, the founder of a church at the site of Paisley Abbey and Patron Saint of Paisley. There is also a street in Paisley named St. Mirren Street.